The Times-Picayune celebrates “Whiskey Week” with a lengthy article on Louisiana distilleries making whiskey. 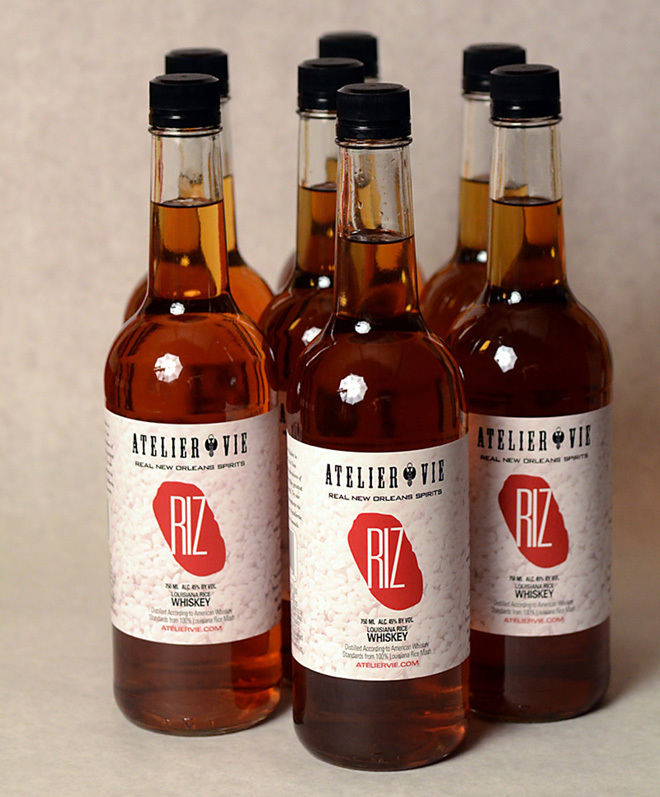 Atelier Vie’s Riz, Louisiana Rice Whiskey, “the first legal whiskey made in Louisiana since Prohibition,” is in the mix. “The distinct flavors in Riz are a result of not just the rice, but also the malt-whiskey yeast and pot-distillation process used by Atelier Vie.” Since the groundbreaking 2013 release of the unaged version of Riz, we’ve also released a barrel-aged version. A few bottles of our initial release of Barrel-Aged Riz remain! Visit the distillery during our Bottle Sales Hours this weekend to bring home your piece of Whiskey River history – history you can drink. This entry was posted in Atelier Vie, Press Hits, Riz. Bookmark the permalink.